For this week’s post I found some fun prints to add to your closet to spice up your winter wardrobe. I’ve mentioned before, in the winter, my style is pretty boring with dark and neutral sweaters and jeans. Don’t get me wrong, I love my chunky sweaters and jeans, but I recently added a few pieces to give my boring, plain sweaters a rest. This is a Jacquard patterned long sleeved top. It’s super comfy (think sweatshirt like, but more flattering) and affordable. It’s not a sweater material; therefore it’s not too heavy or bulky. 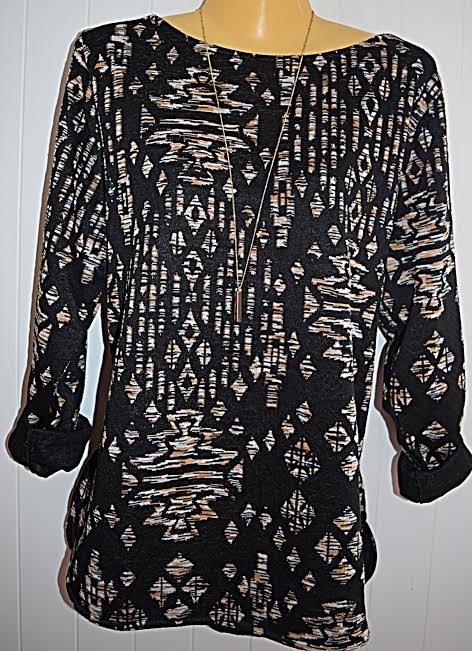 It’s a perfect piece for the winter and to wear transitioning into the spring. Pair with a pair of jeans and ankle boots. 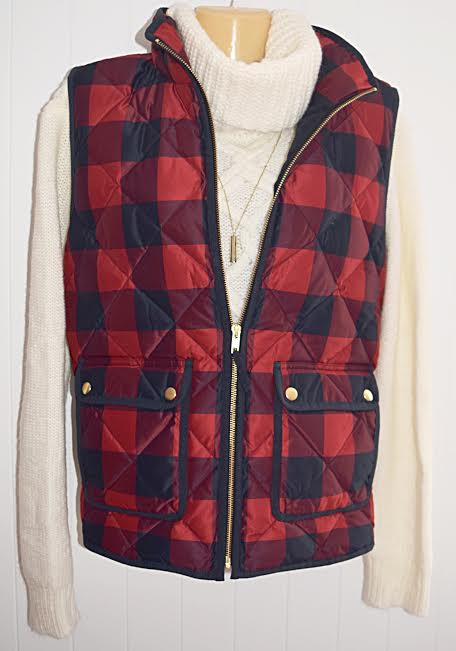 I am OBSESSED with this buffalo check vest! I love the pattern and the gold hardware makes it look less casual than your everyday vest. I was pretty lucky with this find. I found this on the clearance rack at J. Crew, it was the only one, and it was my size. 🙂 I thought this would be the perfect pop of color and a great layering piece when wearing my neutral sweaters. This is a great piece that can be worn in the fall, winter, or spring. Pair it with your favorite sweater, shirt, or dress. 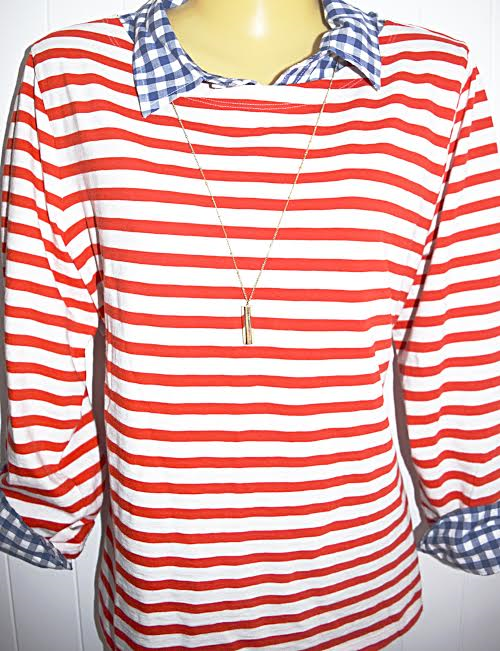 For this look, I mixed and matched the striped and gingham pattern shirts. A rule of thumb when pairing different prints, match the colors, not the prints (if the colors match, the prints should work too). I love the orange and ivory with blue and white; it’s not too matchy-matchy, but the colors compliment each other nicely. A perfect way to both add a pop of color and prints to your winter wardrobe.